A fresh clean crisp Grecian white from the Peloponnese with welcome low alcohol and quite dry but gentle flavour. 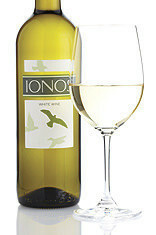 It is made largely from the local roditis grape with a bit of indigenous lagourthi and muscat. Situated above stunning views of the Vouraikos canyon in the north-west of the Peloponnese peninsula in southern Greece, the vineyard is 800 metres above sea level, and has sandy soils with some clay and gravel. Its history dates back to the 1500s when it was farmed by monks, but Jannis and Theodoros completely replanted the vineyards with a mixture of local and international varieties, from mavrodafne and assyrtiko to syrah and riesling. Ionos, means ‘omen’, and is short for 'kalos ionos', or ‘good omen’. The grapes are sourced from sub-mountainous zones of the Peloponnese at around 350 to 700 metres above sea level – the red is typically aghiorghitiko with some kalavrytino and syrah, whereas the white is mostly roditis with sideritis and a healthy splash of muscat of Rio. 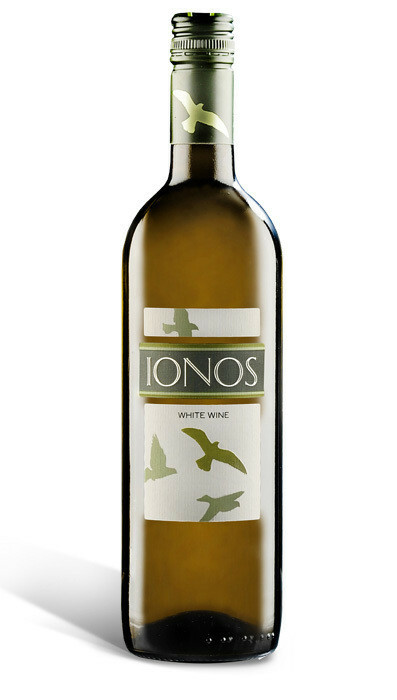 While many of the family’s red wines spend time in a mixture of French and American oak, the Ionos range remains unoaked, fresh and gentle.